Prehistoric pile dwellings around the Alps is a series of prehistoric pile-dwelling (or stilt house) settlements in and around the Alps built from around 5000 to 500 B.C. on the edges of lakes, rivers or wetlands. 111 sites, located in Switzerland (56), Italy (19), Germany (18), France (11), Austria (5 sites), and Slovenia (2) were added to UNESCO World Heritage Site list in 2011. In Slovenia, this was the first listed cultural world heritage site. Excavations, conducted in only some of the sites, have yielded evidence that provides insight into life in prehistoric times during the Neolithic and Bronze Age in Alpine Europe, and the way communities interacted with their environment. As the nomination stated, the settlements are a unique group of exceptionally well-preserved and culturally rich archaeological sites which constitute one of the most important sources for the study of early agrarian societies in the region. Contrary to popular belief, the houses were not erected over water, but on nearby marshy land. They were set on piles to protect against occasional flooding. Because the lakes have grown in size over time, many of the original piles are now under water, giving modern observers the false impression that they have always been this way. ^ Maša Štiftar de Arzu, ed. (14 October 2011). "Pile-dwellings in the Ljubljansko Barje on UNESCO List" (PDF). Embassy Newsletter. Embassy of Slovenia in Washington. 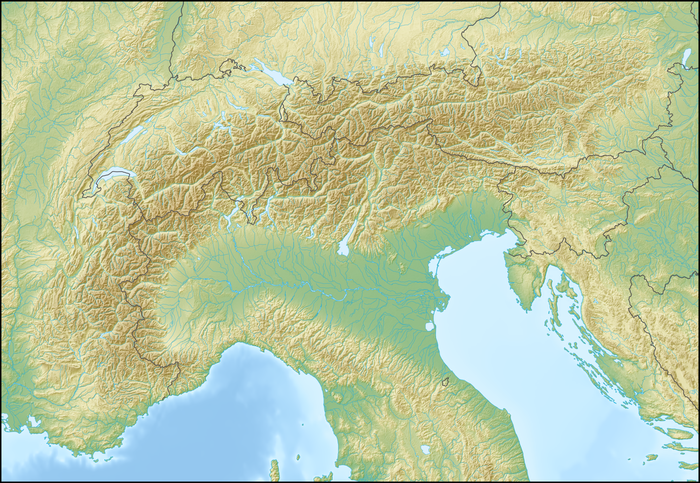 ^ a b c d Prehistoric Pile dwellings around the Alps, Locations accessed 12 August 2011. Due to errors in coordinates from this document, some coordinates come from other sources. ^ Location and coordinates taken from Palafittes.org nominating documents-Revised executive summary Archived 2012-03-30 at the Wayback Machine accessed 12 August 2011. Coordinates converted from UTM. Wikimedia Commons has media related to Prehistoric pile dwellings around the Alps World Heritage Site. 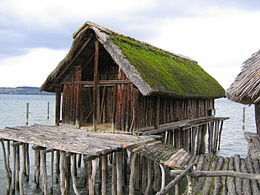 Wikivoyage has a travel guide for Prehistoric Pile Dwellings around the Alps. See also List of World Heritage Sites in Slovenia.